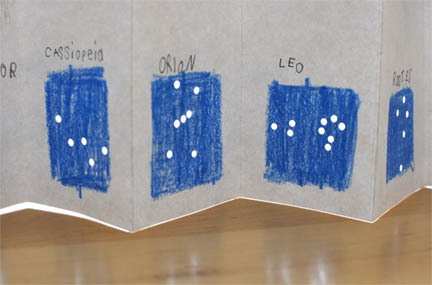 I found this on The Crafty Crow it is an idea from Quince and Quire making star charts. We love to go camping and this would be great to take with us as I never remember the names of the constellations and where they are. 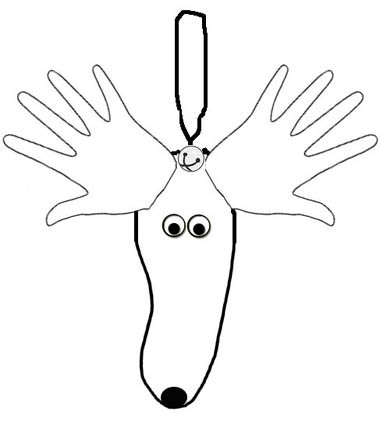 In searching for something new I came across this blog using handprints for art. They have some marvelous ideas. Check it out at Handprint and Footprint Art. One year at Christmas when my guys were little I traced around their hands and feet and copied onto felt and cut them out to make reindeer. I gave a set to each grandparents and they still get hung on the tree. I made the foot brown, the hands gold, a pompom for the nose with a jingle bell on top with a ribbon to hang it on the tree. (I glued everything) Here is a template. Here is a recipe for Bay Rum Aftershave from Learning Herbs. This takes four weeks before the aftershave is ready. But if you are like me and some of those mens fragrances can give you an instant headache it is worth the wait. Not fond of Bay Rum…you can use vodka instead of rum (no smell) and add your own choice of essential oils. You could also use lime or lemon peel in place of the orange. Bay West Indies Essential Oil is distilled from the Bay Rum Tree (Pimenta racemosa). It is a common scent in men’s aftershave products. Begin by grating the orange peel to get its zest. You want the orange part of the peel, not the white beneath. This usually yields about two tablespoons of orange. It’s fine if you have more or less than this. Once you have the zest put it in your pint jar along with the cinnamon stick (you can break it up if you would like), the cloves and the allspice. Next add the optional glycerin and aloe Vera. These are great additions for men with especially sensitive skin. Next add the rum. You can buy a small one ounce bottle from the liquor store. Next fill the jar with witch hazel distillate. This will be just less than two cups. Finally add 25-40 drops of the bay West Indies essential oil to your aftershave recipe. Cover the mixture with a tight-fitting lid and shake well. Shake it well every day or so for 4 weeks. Once the homemade aftershave is done, strain off the ingredients and put it in a dark-colored bottle. This makes enough to fill two 8 oz bottles. 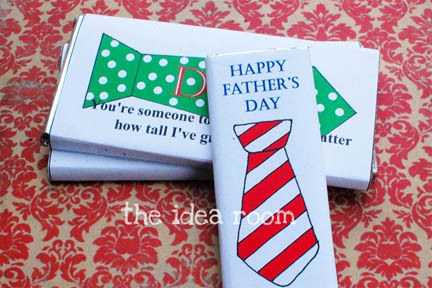 Here is an other Father’s Day idea from Family Fun. Dad deserves his own throne and this could be a lot of fun for the kids to pull things together and set it up for Dad. You could easily do this inside with Dad’s favorite chair, remote in hand. Our guy would have a bowl of guacamole, chips and ice tea. How about a home-made crown also from Family Fun. June 19th is Father’s Day. It is hard to craft for Dad. I thought this was a cute idea from The Idea Room. I will keep looking for more. 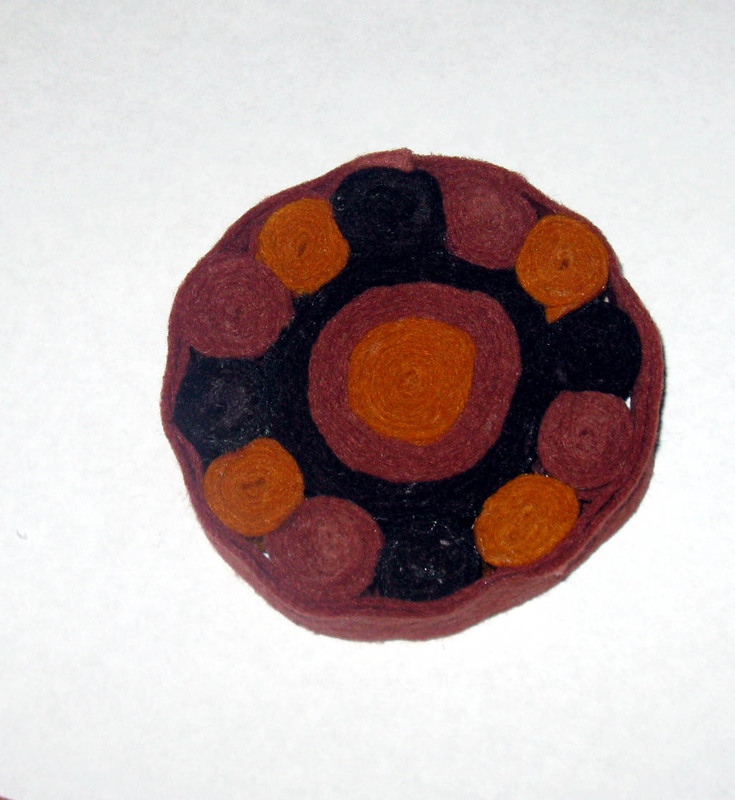 I had fun making my coaster, sticky fingers and everything. You could get very creative with this idea. Each family member could have a different color or shape so you know which drink is theirs, make them a little bigger and they could be a trivet for a hot pan. I found the instructions on Art Threads. You could sew these, but the glue works great and is much quicker and easier for kids. Speaking as a person who lost part of a finger to a rotary cutter; be careful and let the adult cut the strips. Use a good fabric glue and let dry over night before using. When I teach an art class I like to include lessons about different well-known artist. I came across this page at Laugh Paint Create. I love the lessons on Georgia O’Keeffe and Andy Warhol and I think the kids will too. These will be part of my lesson plans in the new school year.